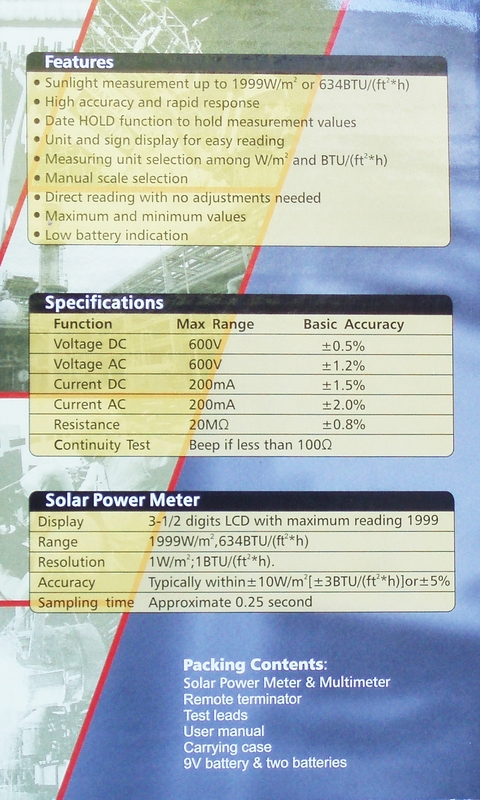 This is a brand new LA-1017 industrial solar power meter from Ruby Electronics. 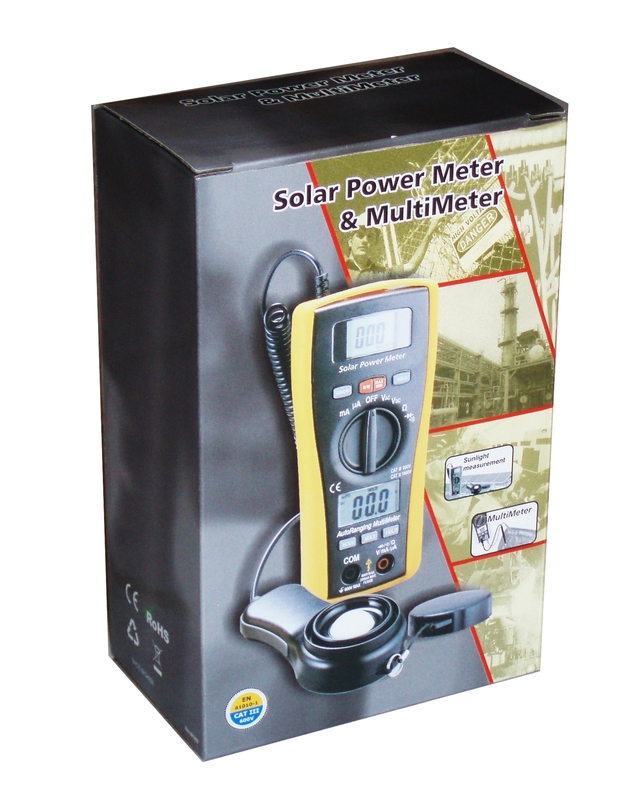 Solar meter is a device used to measure solar (sunlight) power. 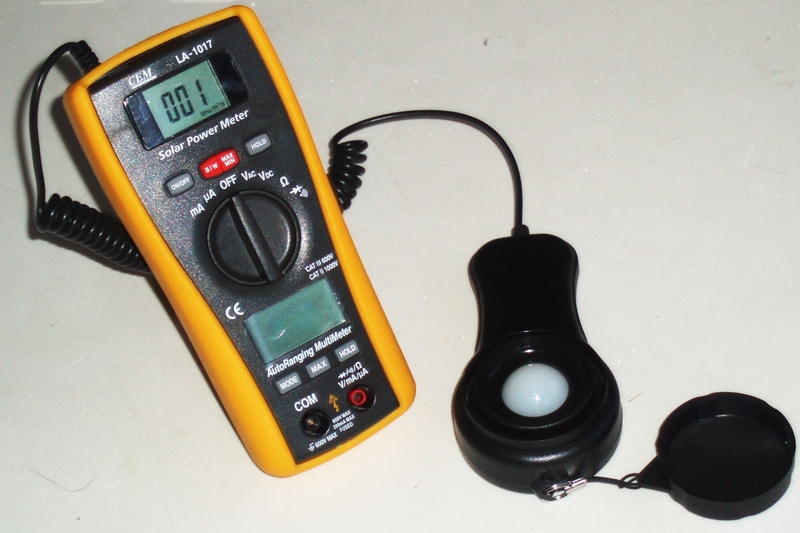 This sunlight energy meter measures the solar power accurately in either Watt or BTU. This meter also has the DMM function integrated, which is a great help in the installation of solar energy appliances. 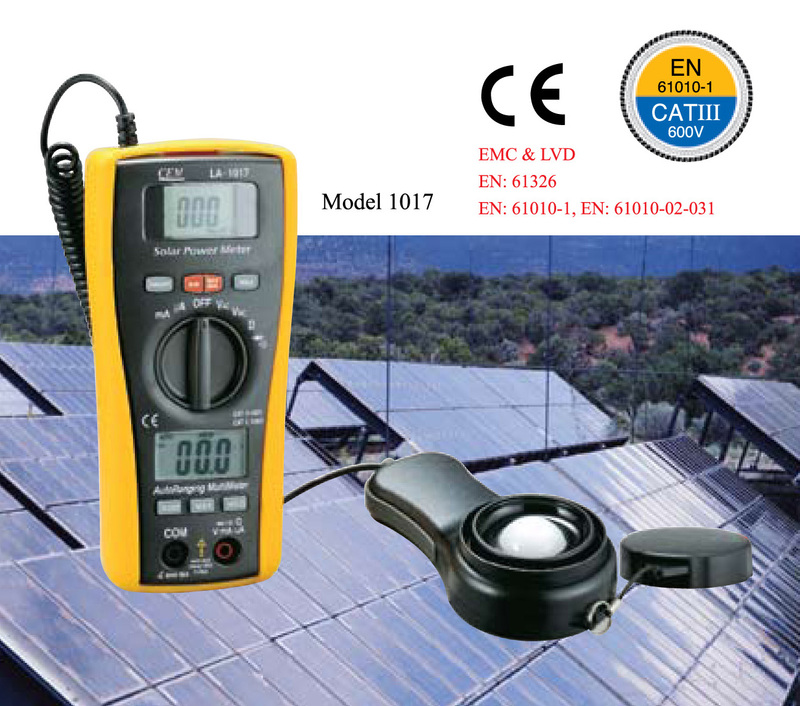 This meter is in compliance with safety standard EN 61010-1 related to electronics measuring instruments. This device is compact and portable. It comes with batteries pre-installed. 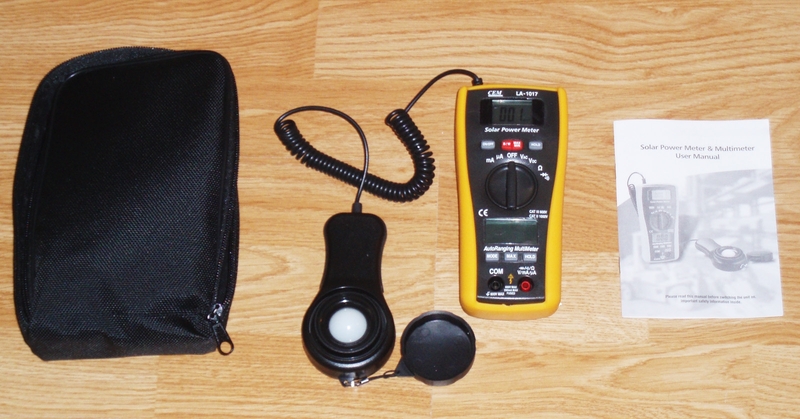 This digital meter also comes with a heavy duty carrying pouch for your convenience.